Educational institutions are eligible for discounted pricing on 50+ Boot Runner client licenses. Contact us to arrange purchase order and other payment methods. Links to software will be available upon receipt of the purchase order. Boot Runner Educational discounts are available. Contact us to request a quote. Contact us to arrange purchase order payment. Links to software will be available as soon as the purchase order is received. Current customers can upgrade by contacting us at sales@twocanoes.com. Boot Runner purchases include one year of support and maintenance. Renew Boot Runner support and maintenance to extend coverage of your purchase. Boot Runner includes one year of Support and Maintenance. 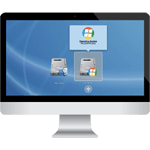 Support and Maintenance includes access to all Boot Runner updates and new Boot Runner versions for a period of one year from the date of purchase. Support and Maintenance also includes priority email and phone support for one year from the date of purchase. To renew your Support and Maintenance Agreement, contact us. A software license agreement is available for download.